This is an easy, delicious and super nutritious recipe that will please even the fussiest of pizza aficionados! Our healthy butternut squash pizza with spinach and fontina is a winner. Savory, crunchy and filled with the good stuff! Calcium – builds bone, alleviates PMS symptoms, lowers colon cancer risk. Fiber – aids digestion, regulates blood sugar, improves cholesterol numbers. Iron – maintains muscle, boosts energy, improves your mental outlook. Vitamin C – keeps skin smooth, fights inflammation, reduces stroke risk. Step 2 Coat a baking sheet with cooking spray. Step 3 Cut butternut squash into half, length-way, and scoop out the seeds. Step 4 Place the squash, flesh side down, on prepared baking sheet and roast for 30 minutes. Step 5 Turn the squash halves flesh side up and roast until very tender – approx 25 minutes. Step 6 Once cooled scrape the squash flesh into a bowl and mash. Step 7 While the squash is baking – Fry the sliced onion in oil. Use a large fry pan over medium-low heat, stirring, until lightly browned – approx 20 minutes. Step 8 Transfer to bowl. Step 9 Increase the heat to medium and coat the fry pan with cooking spray. Step 10 Add spinach and cook, stirring, until wilted – approx 2 to 3 minutes. 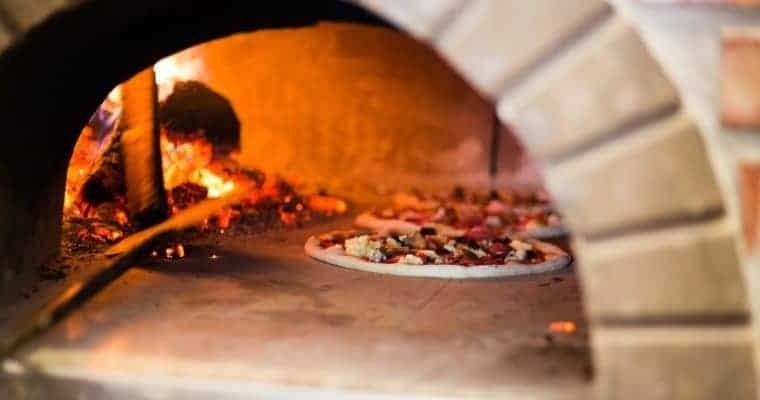 Step 11 Once squash is cooked – If using a pizza stone place it on a rack in the center of your oven and increase heat to 550°F – a baking sheet can be used if not using a baking stone. Step 12 Using freshly prepared – or thawed earlier prepared dough – flour lightly and roll into a 12″ circle, ⅛ to ¼ inch thick, on a piece of parchment. Step 13 Spread about 1½ cups of the squash over dough. Top with onion and spinach. Step 14 Slide parchment and pizza onto a cool baking sheet and carefully slide the parchment directly onto pizza stone or heated baking sheet. Step 15 Bake until bottom is golden – approx 7 minutes. Step 16 Top with cheese and nuts and bake until cheese melts – approx 1 -2 minutes. Step 17 Cut into 8 slices. This is a great whole wheat dough and perfect to use with the healthy butternut squash pizza. Step 2 pulse to mix. Step 3 Combine hot water and oil in a measuring cup. Step 5 if too sticky, add 1 to 2 tablespoons flour. Step 6 Process until the dough forms a ball, then process for 1 minute to knead. Step 7 Transfer the dough to a lightly floured surface. Coat a sheet of plastic wrap with cooking spray and place it, sprayed-side down over the dough. Step 8 Let the dough rest for 10 to 20 minutes before rolling. Please help spread the word about healthy, holistic and healing food recipes!